The logical place to begin this series will be 'How to start' a beauty blog. But this pretty much applies to any blog at all. In the grand scheme of things, this is actually the easiest phase of the whole journey but if not passed right, can ultimately become the hardest part of it all because it will keep drawing you back and keeping you behind. These are literally the building blocks to your blogging success so take time out, have a notepad and pen, go to a place to think about it and then write out the answers. I'm going to be using myself as an example most of the time. When I started my blog, I knew I wanted to teach regular women how to apply makeup and I knew the type of makeup I had in mind. At that time I didn't know anything about makeup and to teach people about it, I had to know about it myself. That's where the youtube videos from Aubrey, Christine and Ren came in. When I learnt more about makeup I knew my mission had to change and that's when the purpose of my blog changed again. I'd have been promoting a mix of affordable Nigerian brands and other foreign drugstore brands which were available in the market but no one knew about. = I'd have moved several steps at a time instead of one step at a time. Image having these 3 steps squashed together into a 6 months period as opposed to having to use about 3 years to learn them all. Yes makeup. So what? The whole world is talking about makeup. But what about you? What EXACTLY will your blog be about? Will it be general topics like Makeup reviews, looks, stores, High end products, drugstore products, tips. And remember, a makeup blog is different from a beauty blog. You have to decide which one you are. Will yours just be a niche focus on hair, nails, skin, will it encompass all? What twist will you give yours? Hairstyles for shoulder length straight hair or different types of false nails etc. You just have to know what your site will be about. Write it down and make it plain. I started off as a makeup blogger but when I became a makeup artist and began working on shoots, people would ask me about skin and fashion. I always replied with "makeup guys, makeup", and although makeup is still key, I've diversified into beauty.....afterall, great makeup begins with great skin right? I know you've already established what your blog will be about but to what end? What purpose will it serve? Will it just be there to flow with any whims that come upon you at any time? NO, that won't work you know. You have to define the exact purpose. For me, the initial purpose of my blog was to teach, when the direction changed, the purpose became to be a source of information, now that it has finally evolved, it's a source of inspiration, information and education more than anything else. Even this series fits beautifully into the purpose of not just my blog but my brand too. So you have to find the purpose of your beauty blog - teach, entertain, just be a go-to source of information like Beauty in Lagos is, or inspire. Who will you be writing for? Teenagers, Working class, the general public, mums, mums with teenage kids or matured mums. In advertising & marketing we call them the target audience. You have to properly define your audience. Your audience might be fellow bloggers or some kind of professionals like amateur makeup artists or professional makeup artists whose Clients are the regular women and they want to know what products these women like to buy so they can sell them too. One thing I've learned is that your direct primary audience who are your main focus are people who are just like you. In my case, these will be females between the ages of 25 and 35, they either have jobs or work for themselves, they always like to look good but at the same time don't mind having off days, they want to be themselves while going with the trend, they love to hang out on social media, they like to meet others who are just like them, they are not afraid to ask questions but sometimes prefer to find out the answers for themselves. That's just a snippet of who my direct primary target is. There is also a secondary audience who are fallouts of the primary and I also have to consider them sometimes because they may be entering the sphere of my primary audience or they may just be growing out of it. Everyone knows I work in an Agency, but there are those who think I work for myself. But I do both - I work full time in Advertising and I also work for myself as a result of my blog, working with brands across social media & consulting for small and medium scale brands in the areas of digital marketing & content creation on a budget. I do stuff like consult for beauty & fashion brands which varies. I work with brands to promote new or existing products, sometimes I model for brands too and I write. Is that all? I've a feeling there is more but I can't remember now, lol. I have an active blog, facebook page, youtube channel, Instagram account, twitter and others which I also have to provide content for. I have to create content for them, I have to engage with my fans on each and every one of them. I really can't expect that it's the same people following me on all of them. Some people are only on facebook - if I only engage on Instagram and share to facebook without actually going on facebook I'll lose them. All this is alongside my regular job, invites for speaking engagements, events and special projects like #Africasbiggestbookproject which I'm really excited about as it's part of something I've always being interested in and will enable me go into the kind of philanthropy I'm really interested in. I get people who ask me left, right and centre how I do it and frankly, sometimes, I can't respond because I don't know, lol. You get my drift though. 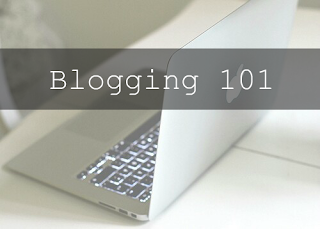 How is your blog going to function? Will you work on it at nights only or on weekends? Will you create a schedule for posting or you'll be random? Will you get other people to become active parts of it or will you work on it alone? These are important questions you need to answer. Why do I want to start a blog - just an offhand decision or a genuine passion. Will it serve a worthy purpose? Who will my beauty blog cater to - my friends, my family, my colleagues, my little sister and her friends? How will it function - maybe I'll just hire someone to write about this topic cos I don't have the time for it but I'd like to have this little space on the internet anyways. I hope you learnt a lot from this post guys. I'd love to know what your key take out is in the comments so please take out a couple of seconds to leave me a comment.